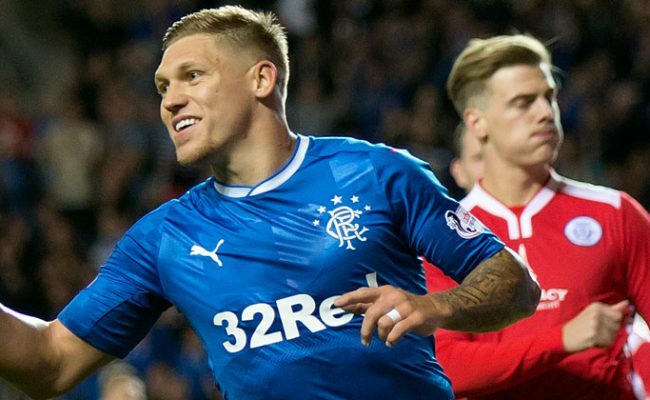 TWO terrific goals from Steven Smith and Dean Shiels gave Rangers their first victory over Queen of the South at Palmerston Park this season and, more importantly, put their side in a strong position to progress in this season’s Premiership play-offs. Tonight’s first leg in Dumfries was always going to be a nervy affair with so much at stake but Rangers coped admirably with Smith opening the scoring with a majestic free kick before half time. Derek Lyle replied for Queens after the hour mark with a back post header from a corner but the drama was not over there. With 15 minutes remaining Shiels did brilliantly to head the ball into the net from Richard Foster’s accurate cross and this was enough to give the visitors a crucial, and deserved, victory ahead of the return clash at Ibrox in eight days. With skipper Lee McCulloch injured, McCall went for a 3-5-2 formation with Darren McGregor, Marius Zaliukas and Lee Wallace at the back and Richard Foster and Smith on the right and left flanks respectively. Dean Shiels joined Andy Murdoch and Nicky Law in the middle of the park with Haris Vuckic partnering Kenny Miller up top. On a bright, sunny evening it was James Fowler’s men who created the first chance of the match. The lively Daniel Carmichael found space on the left wing and his cross was met by top scorer Lyle who brought out a comfortable save from Cammy Bell. Queens were enjoying good possession in the early stages, playing it out from the back, but on nine minutes a chipped ball over their defence released Vuckic who shot across Clark and wide of the far post. Just two minutes later the roles were reversed when Vuckic threaded a terrific through pass for Miller but the far side linesman raised his flag before the Gers striker had stroked a left foot finish into the net. After a somewhat hesitant start the game was now being played in Queens’ half and Clark had to be sharp to get down to a Dean Shiels shot at his near post after the Ulsterman linked with Smith. 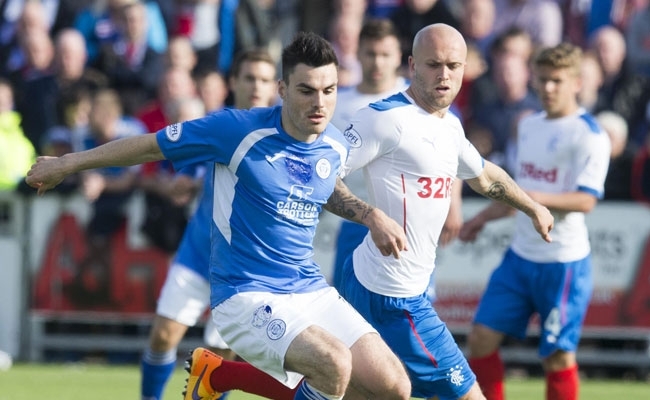 The Doonhamers were then able to regroup and Mark Durnan was left frustrated after he headed the ball over from an accurate Ian McShane corner. The big defender then unleashed a curving effort which went high and wide before landing in the away terracing. With both managers setting up with similar formations it was proving to be as much a tactical battle as it was a physical one and as the half hour mark approached there was little separating the sides. On 35 minutes a long-range effort from Andy Murdoch stung Clark’s hands while at the other end Derek Lyle’s shot from 25 yards was straight at Bell. With both teams struggling to conjure up one moment of quality to break the deadlock Rangers got one last opportunity with just over 60 seconds of the first half remaining. Andy Dowie conceded a free kick after wrestling with Vuckic but even then it looked to be too far out to really test Clark, never mind beat the keeper. Smith, however, provided a moment of magic when he curled the ball high over the wall and into the postage stamp corner of the net. Such was the accuracy of the shot the ball clipped the underside of the cross bar before bouncing in. The goal couldn’t have come at a better time, just before the interval, and it was the travelling Bears who were applauding their players as they jogged up the tunnel after Alan Muir’s whistle. 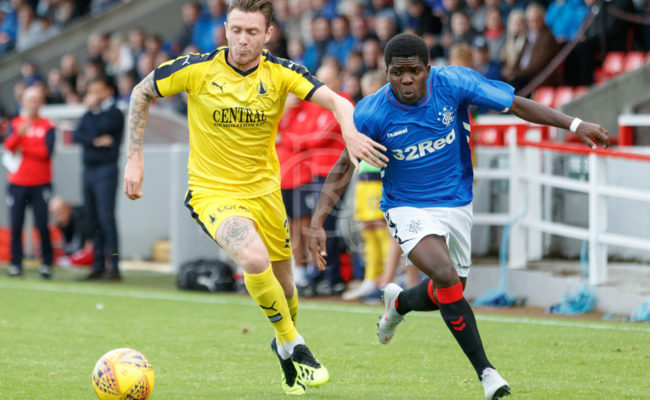 The second half continued with Rangers in the ascendancy and in the first attack after the restart Miller burst free on the left and his curling shot was palmed away by Clark. The ball then fell to Smith who had his hands on his head after his netbound shot – with his right boot this time – was headed away as it arrowed towards goal. 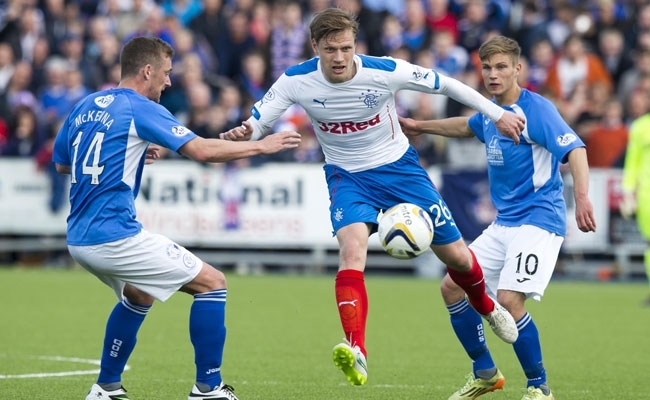 Nicky Law then made a lung-bursting run into the 18-yard box but he headed over from Lee Wallace’s delivery. Smith hobbled off with an hour played and on 63 minutes Queens levelled the score with a simple goal which will no doubt have frustrated McCall. Two Rangers players appeared to run into each other as Carmichael’s deep corner landed perfectly for Lyle who nodded the ball in. 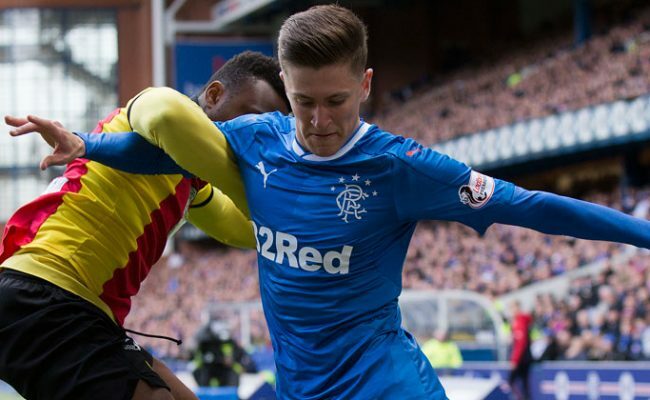 As the temperature dropped in the ground the atmosphere was now red hot and it almost got to boiling point when Foster produced a crunching late tackle on Carmichael which resulted in a yellow card. On 75 minutes this entertaining tie took another twist as the Light Blues got their noses back in front with another fine goal. 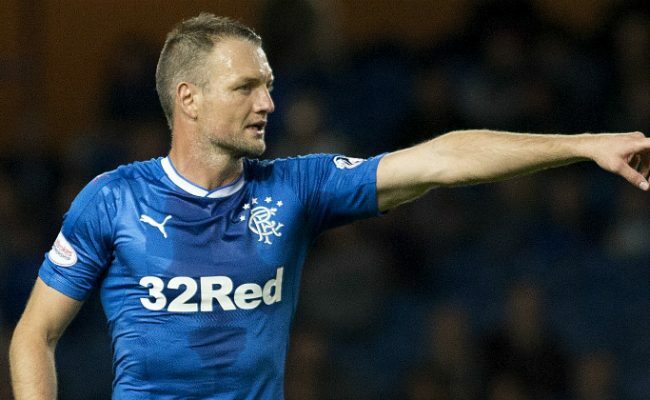 Foster, who again impressed, did well to find a yard of space on the right and his floated cross was perfect for Shiels who glanced a header into the far corner of the net in front of the jubilant Bears. In the latter stages former Queens striker Nicky Clark was introduced as Rangers tried for a third goal but it wasn’t to be. 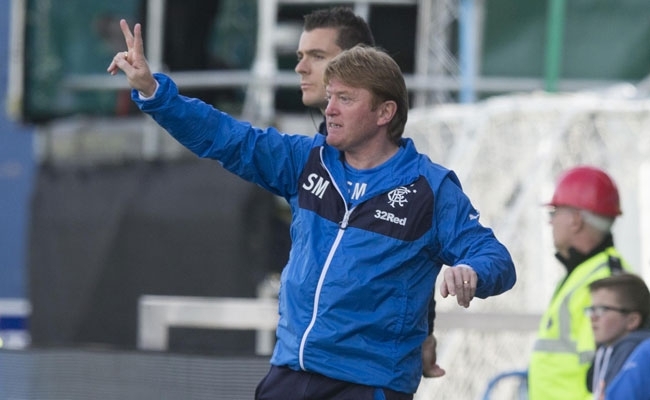 They will, however, be favourites to progress to the semis with a packed Ibrox expected for the second leg.